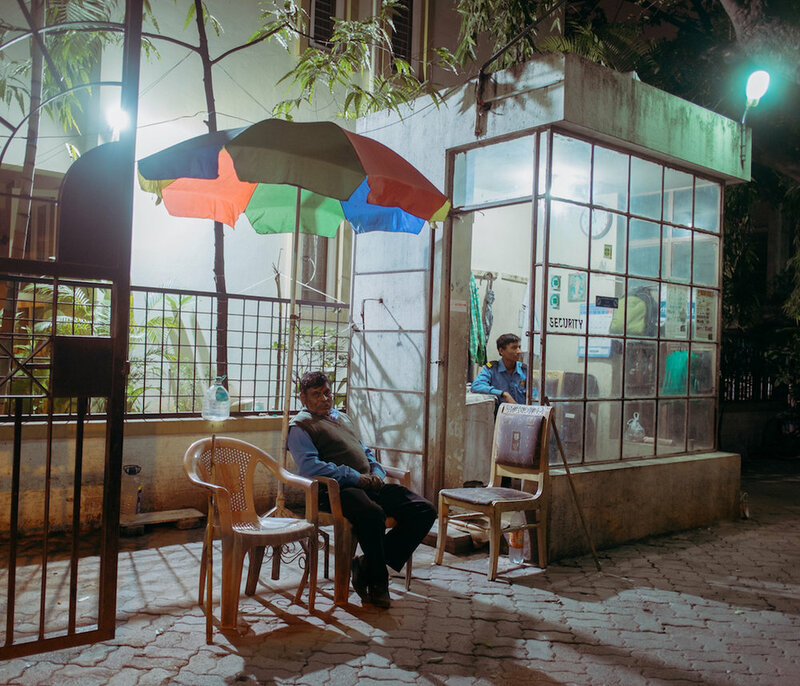 Growing up in a quiet housing complex, I’d often spend nights looking upon the roads from the roof of our townhouse at the night watchmen, sitting guard in their incandescent-lit cabins or on their sun-bleached plastic chairs under the street lamps. The steady thump of the watchman’s wooden stick as he made his nightly rounds was my lullaby. Housing complexes in urban areas, and many private bungalows, often hire watchmen from agencies or private companies. 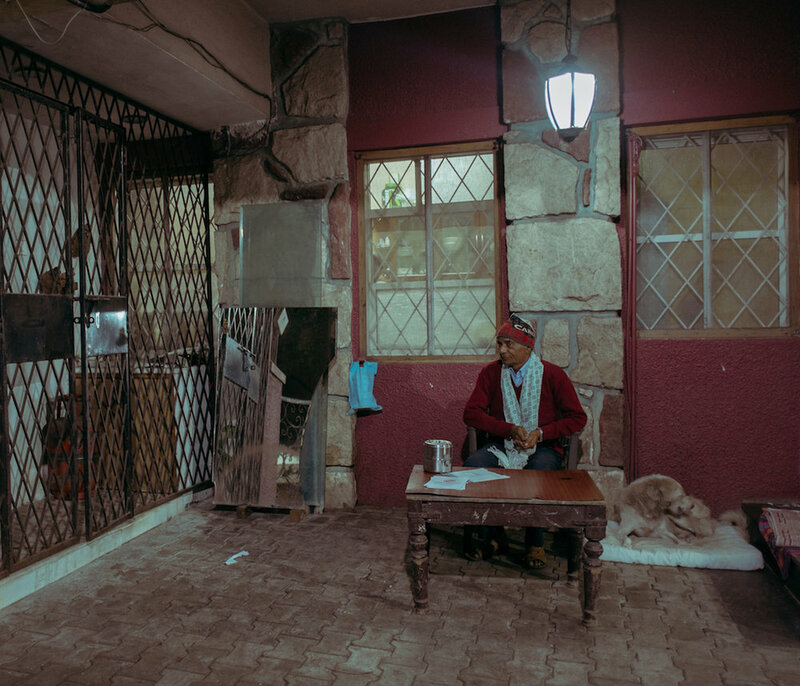 Many come as migrants to find work in the city, and are underpaid, forcing them to take on multiple shifts (which sometimes mean they doze off). 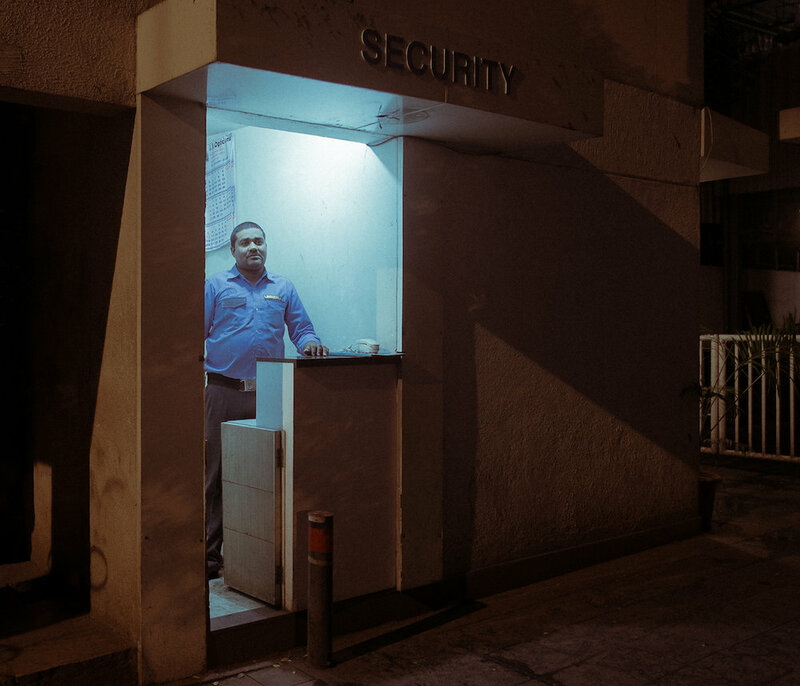 A larger city like Mumbai has over 20,000 registered security guards. 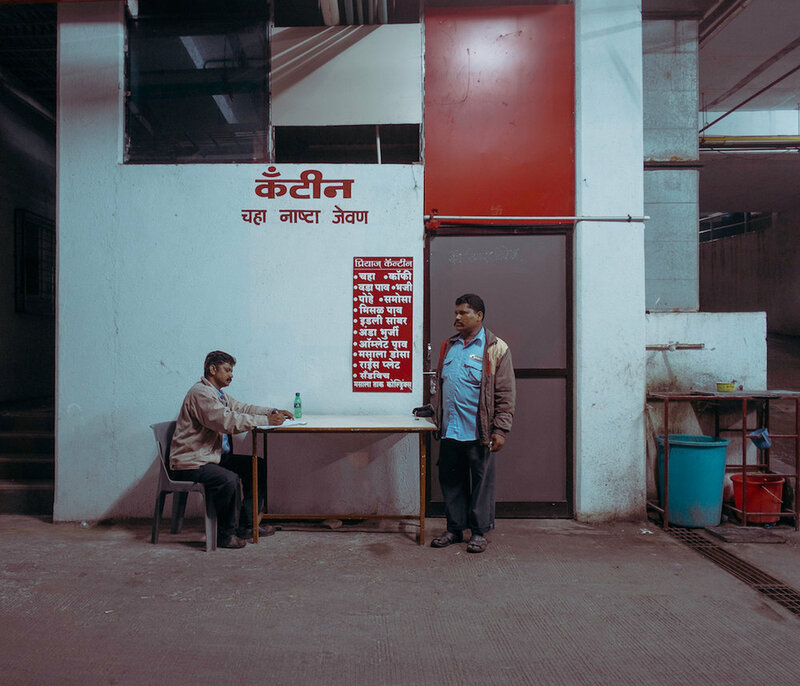 Security guards are everywhere, at any given time of day, but it was the ones working the late shift that have always intrigued me, how did they pass the time? 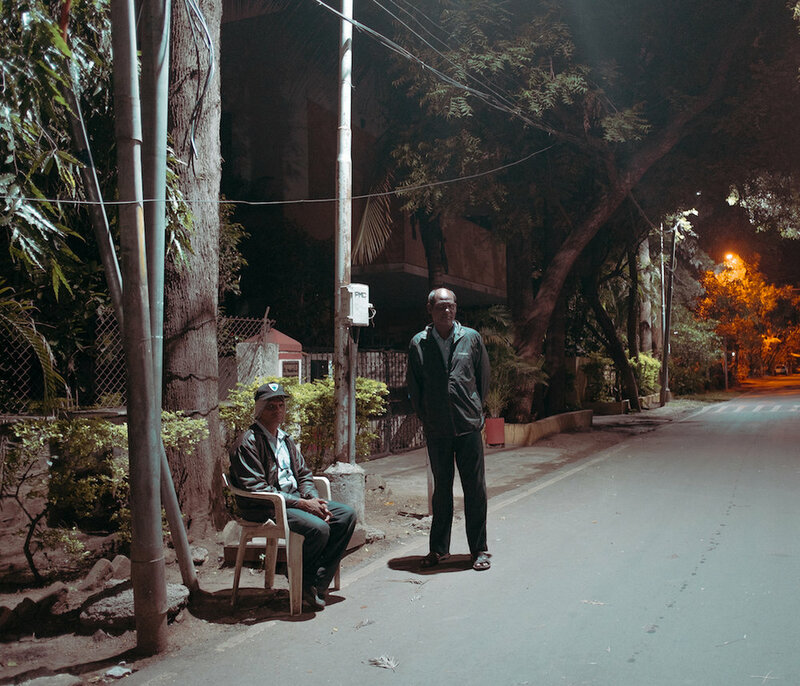 I shot these portraits in the summer of 2016, roaming the neighbourhood nearly every night. The longer exposure times provided a certain lassitude to them.